SOUTH Sydney coach Anthony Seibold has fired a warning to his Rabbitohs side that they risked a "cricket score" being put on them against the Storm he watched his side just beat the last placed 26-20 Eels. The top of the table clash between South Sydney and Melbourne looms not only as a potential minor premiership battle but a test of the Rabbitohs premiership credentials according to Seibold. Seibold said his side "need to be much better" when they play Melbourne at ANZ Stadium on Friday. "If we complete at 60 odd per cent in the first half.. they will put a cricket score on us," Seibold said. "That's the reality of it. It's a test we need. To be fair. We need to see where we are at. The boys will get a good opportunity to test themselves." The Rabbitohs produced 16 second half points in 12 minutes to starve off a spirited Eels. The Jarryd Hayne-led Eels looked destined to pull off one of the upsets of the season after rushing to a 20-6 lead with 25 minutes remaining as the Rabbitohs starred down the barrel of consecutive losses for the first time since the opening two rounds of the competition. 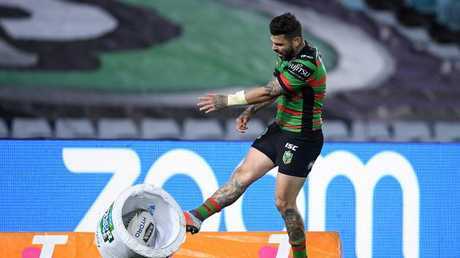 Instead, the Rabbitohs stayed composed and produced a remarkable comeback after going into half-time trailing 18-6 in front of 15542 people at ANZ Stadium. They trailed 20-6 after 55 minutes. The loss keeps Parramatta at the bottom of the premiership ladder. 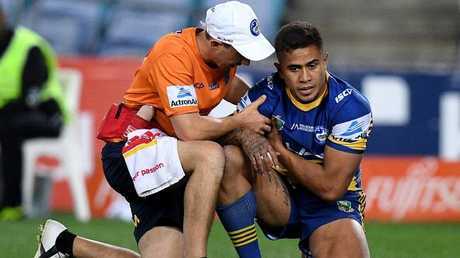 They played with 16 men for the bulk of the game after Kaysa Pritchard dislocated his shoulder after seven minutes having stayed on the field as the Eels defended their try line. The Rabbitohs scored first via Dane Gagai from a Damien Cook short side cut out pass after 14 minutes. A Hymel Hunt sin-binning because of repeated Rabbitohs infringements shifted the game with Parramatta scoring twice with the centre sidelined. Clint Gutherson swooped on a cross field bomb by Corey Norman for the Eels' first try before Hayne scored the second. 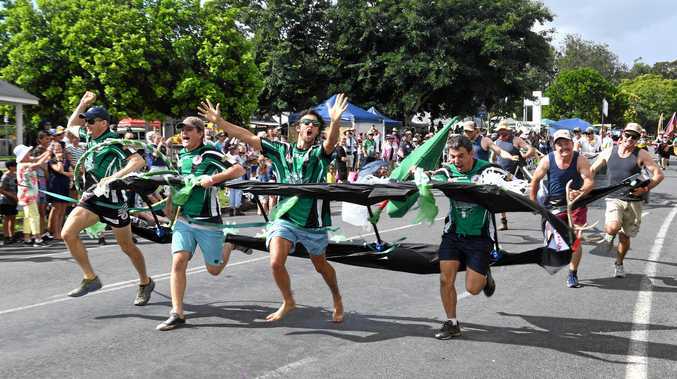 While Hayne was named on the wing he interchanged with Gutherson at fullback and surged through the middle of the field to race away for a Rabbitohs try as his performances continue to grow. 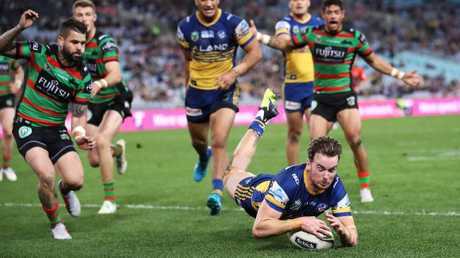 Hunt's return brought about little change of luck for the Rabbitohs with Michael Jennings shrugging him off to extend the Eels lead to 12. 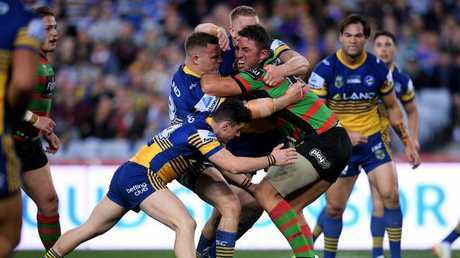 Parramatta were near perfect in the opening half completing at 95 per cent and having 35 tackles to South Sydney's five inside the opposition 20 metre. A penalty goal would be Parramatta's only points in the second half after Hayne was correctly denied a 90 metre intercept try after the video referee ruled Hayne had knocked the ball into a Rabbitohs defender as he attempted to claim the ball. The Rabbitohs turned the match via a Sam Burgess tackle on Peni Terepo after the penalty goal re-start with South Sydney scoring instantly. Winger Campbell Graham started the comeback with a 58th minute try before Robert Jennings and Gagai crossed again to give the Rabbitohs a two point lead. 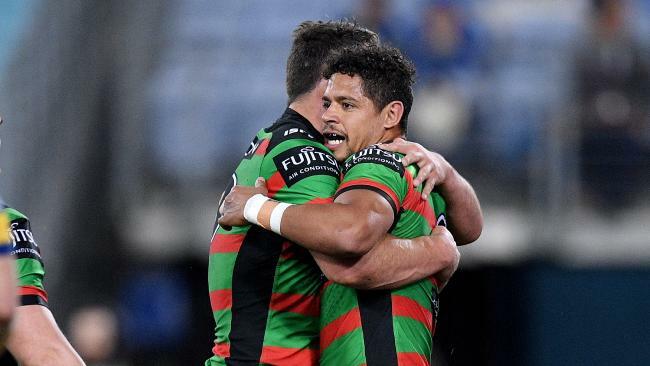 Gagai's first double as a Rabbitoh came with Norman sin-binned before Campbell had his second to close out the game. "I'm disappointed for the players and fans," Eels coach Brad Arthur said. "Everyone worked really hard..the boys are working hard at training. No one is taking any shortcuts. (We're) just struggling to find a way to win. "With the ball we showed good composure and patience even though we didn't score early. "We need to win. That's important for us. Winning helps morale, confidence." SOUTH SYDNEY 26 (D Gagai 2 C Graham 2 R Jennings tries A Reynolds 3 goals) bt PARRAMATTA 20 (C Gutherson J Hayne M Jennings tries M Moses 4 goals) at ANZ Stadium. Referee: Alan Shortall, Peter Gough. Crowd: 15,542.